Ponce is Puerto Rico’s second city. While San Juan was the administrative hub, the seat of the Spanish government, its influences were all Spanish. San Juan was filled with travelers from Spain, and with immigrants from Spain. 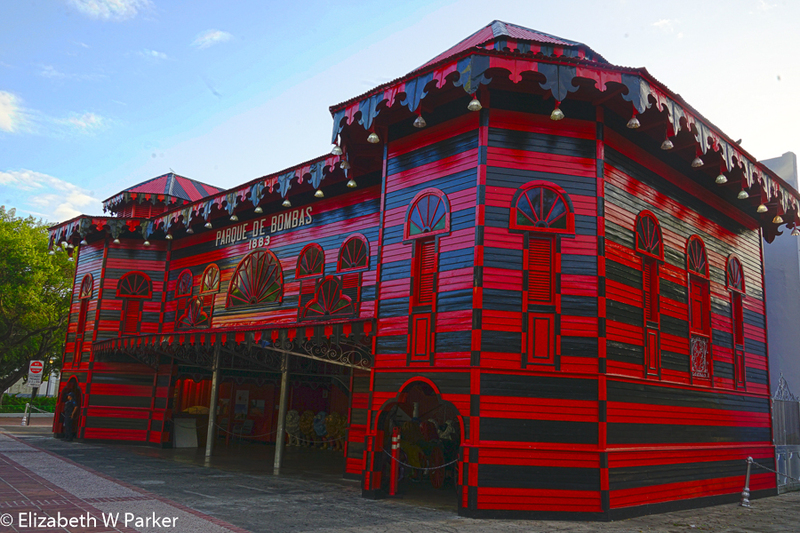 Ponce, differently, was a trading hub, and so entertained travelers from all over the world. These influences are evident in the architecture. The first thing you will notice when you go to Ponce is how different it looks. And, of course, there is a rivalry between San Juan and Ponce as to which is the better city. Believe me, they are both wonderful in their ways, and you can find your own arguments to support one or the other. Of course the Ponce Art Museum and the Fire House are the most iconic things to visit in Ponce, but I hope trough these journals, you will also branch out and discover some of the gems of Ponce.